Wetland habitats in Alaska are numerous and complex making up 43.3% of the state’s surface area. Significant wetlands occur along the large Interior river systems including the Yukon, Kuskokwim and Koyukuk Rivers. Large coastal river deltas are also associated with the Stikine, Copper and Colville Rivers. 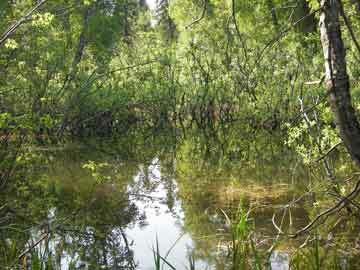 Other kinds of wetlands found in Alaska include small sedge or grass wetlands and spruce and peat bogs.